In an unusual turn of events, the last FIFA World Cup undefeated champions, Germany, has bowed out of the tournament. In a not-so-surprising turnout given their dismal performance this year, Germany lost to South Korea last night, suffering a 2-0 defeat which eliminated the once stellar team from the opening round. The last time Germany was sent packing in the eliminations round was 80 years ago. Of course, social media was abuzz (and still is) in the stunning match results. While Germany is mourning, South Korea and the rest of the nations vying for the gold in the FIFA tournament, particularly Mexico, are rejoicing. 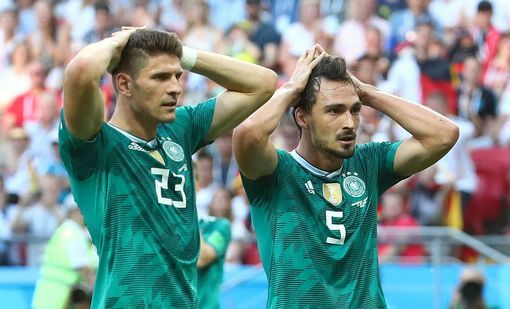 Here are some of the best and funniest Twitter reactions to Germany’s loss. In case Germany ever starts World War III – the rest of the world can relax and just send the Koreans who will defeat them in 90 mins. Lebanese #BRA fans of Libya staging mock funeral of #GER after they were eliminated from the #WorldCup today.